So, is it “bah humbug,” winter blues, or a full blown clinical depression? There are many reasons or even a combination of reasons why a person might become depressed, and although the types of depression may differ, many of the symptoms can be very similar and may only vary in their severity and duration. Some common symptoms of depression include feelings of sadness or hopelessness, changes in sleep patterns or appetite, loss of concentration and focus, loss of interest in social or daily activities, feelings of tiredness and fatigue, irritability and anxiety and even thoughts of suicide. If you are feeling any of these feelings and think that you may be depressed, it may be important to figure out which type of depression you have since the treatment options may vary. Depression during the holiday season is usually the result of encountering “memory sparkers” or having expectations that go unmet. A memory sparker is anything that can trigger a previous memory – a smell, a place, a song or even a date on the calendar. Unless it’s a special day marking a specific event, if I asked you to tell me where you were and what you were doing over the last 10 years on March 12, you probably couldn’t tell me. But, if I asked you to recall Christmas when you were 12, New Year’s Eve 2004 or the last five Valentine’s Days, you probably could. If these events were marked with sadness in the past, or it these events were filled with happiness in the past and are no longer a source of joy, you could be feeling symptoms of depression. If this is the case you may be experiencing Seasonal Affective Disorder, or S.A.D., where symptoms of depression appear in the Fall, reach a peak in the Winter and usually resolve themselves in the Spring. S.A.D. is caused by the effects on the brain’s chemistry during periods of reduced natural sunlight. Assistance with the symptoms of S.A.D. includes regular exposure to full spectrum light, which mimics the light of the sun. You can purchase full spectrum light bulbs or even a full spectrum light box via the internet or at some hardware stores, and keep them in rooms where you usually spend at least a half hour or more. In addition spending at least an hour a day outside, regardless of weather, will also help a lot. Some people frequent tanning salons for exposure to full spectrum light but the effects on your skin may make that option undesirable. Psychotherapy with a trained counselor and a possible evaluation for medication during the winter months also prove to be helpful in treating Seasonal Affective Disorder. If you don’t feel like you have S.A.D. but you are experiencing depressed mood levels, crying spells, sleep problems, feelings of guilt and/or thoughts of death or suicide, and these symptoms persist for more than 2-3 weeks, you’re moving beyond the holiday blues and you probably have a major depression. It’s important to realize that major depression is not a weakness or a character flaw – it is a real illness. People who suffer from major depression are not just moody or have “the blues” for a few days. Their experience with the symptoms of depression is often debilitating and can last for long periods of time without relief. Telling yourself to “snap out of it” or thinking good thoughts is not going to help here. 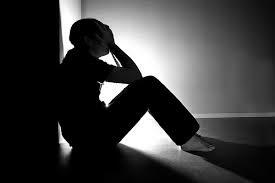 Major depression can be broken down into two categories: situational depression and chemical depression. Situational depression is usually caused by a traumatic life event such as the death of a loved one, the loss of a job, the loss of a significant relationship or even a move to another town or state. If a person is feeling major depression but cannot identify a triggering event, he or she is likely experiencing a chemical depression, meaning certain chemicals in the brain are out of balance. In cases such as this, there is usually a family history of depression. In addition, hormonal changes in the body can have an effect on brain chemistry and bring on a chemical depression. In any event, symptoms of major depression will not subside on their own and it is usually necessary to seek professional help. Situational depression typically requires therapeutic counseling, sometimes coupled with medication; chemical depression usually requires medication, sometimes coupled with professional counseling. A trained therapist can provide the needed therapeutic counseling and can also be a good source for medication. Being in need of medication is not “taking the easy way out.” Quite simply, if I asked you to accompany me on a hike up a mountain and expected you to keep up with me, but gave you a 50 pound boulder to carry with you, keeping up with me would be impossible no matter how hard you tried. Medication to assist with depression would be like putting the boulder down on the hike. You would still have to watch your step, you would still have to exert the effort, you would still have to keep the pace – but the expectations of keeping up would be fair. Medication for depression is not the equivalent of taking “happy pills.” They take the edge off the depression, allowing you to deal with any issues that may also be there. Whether you are experiencing holiday blues, seasonal affective disorder or a major depression, the symptoms are very real and can be debilitating. The good news is that you don’t have to go through the depression alone and there are ways to reduce the symptoms. As with all physical and emotional problems, if you are unsure of what to do and are in need of assistance, reaching out to the proper people who can help is essential.